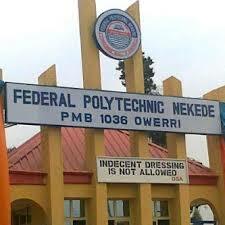 How to Apply for Federal Polytechnic Nekede Supplementary Admission. 4. Return to school portal www.fpno.edu.ng, and complete your application process. Submit your data as requested and print out receipt and acknowledgment slip. Applicants can start and complete this process from any location in the country. It is therefore advisable to minimize journeys to Owerri for the purpose of completing the form.